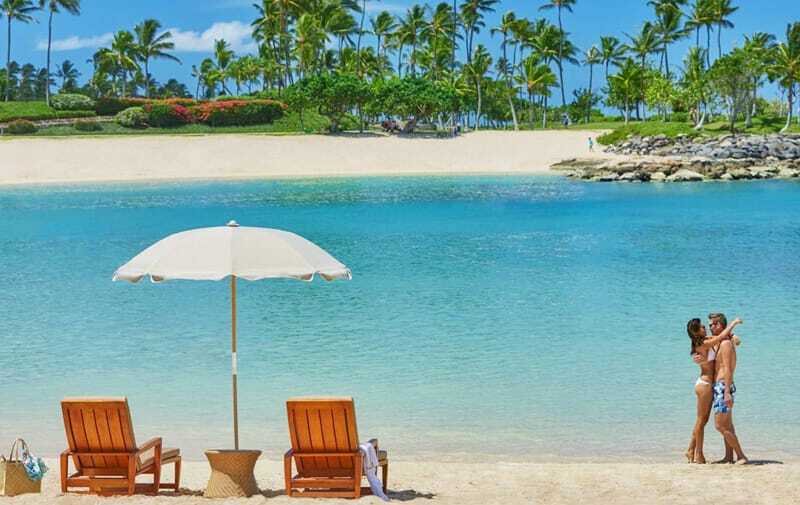 Set on 642 acres, the resort community of Ko Olina sits on the edge of Lanikuhonua, a nature preserve, and four beach coves known as the Ko Olina Lagoons, not far from Honolulu and Waikiki Beach, on Oahu’s wild and rugged western coast. There’s also an award-winning golf club and a private deep-draft marina. The hotel itself has a number of restaurants, bars and lounges, kids’ activities, and a spa. 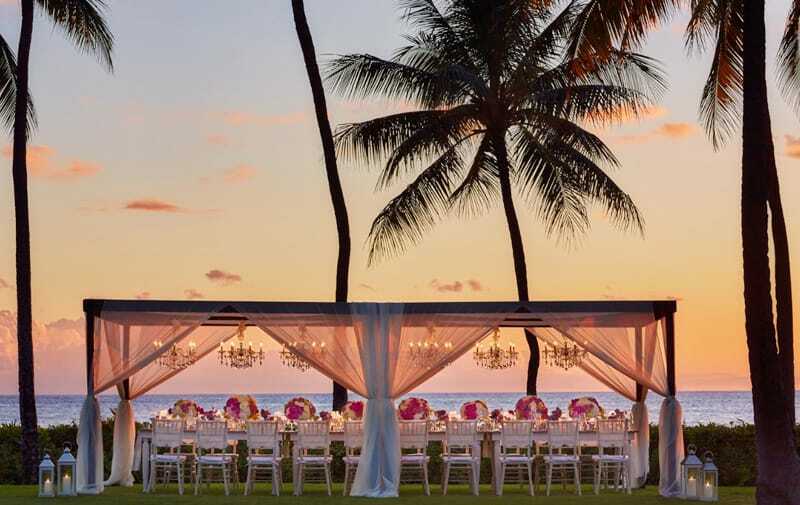 Lots of traditional local woods and banana-leaf headboards that fuse indoor and outdoor lend the 371 light-filled guest rooms and suites a tropical Hawaiiana vibe. 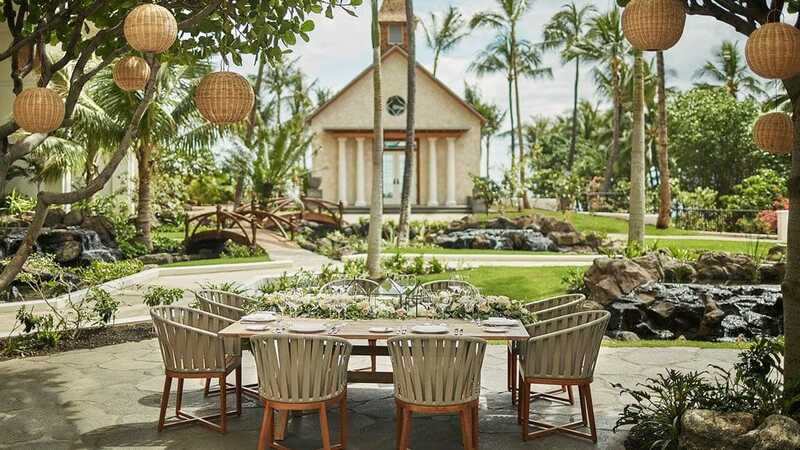 The Chapel: Located on the resort grounds is the historically inspired Hawaiian chapel that accommodates up to 20 guests. 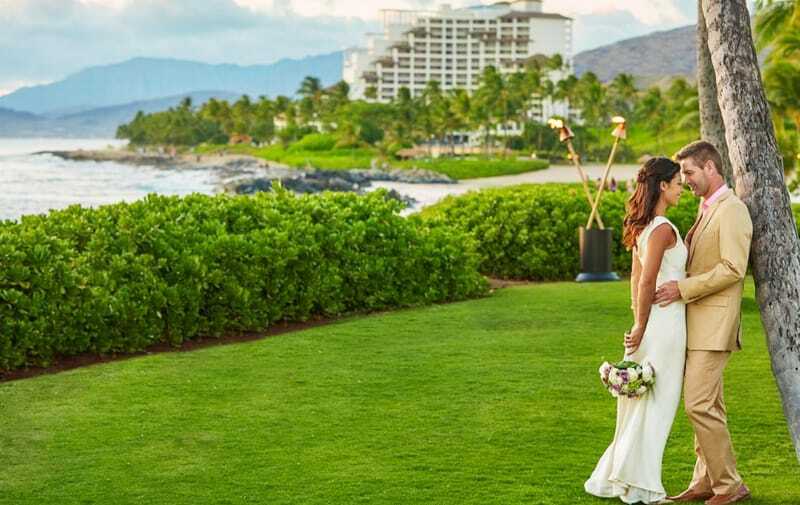 Steps away are a tropical garden enclave and ballrooms for hosting your dream day.